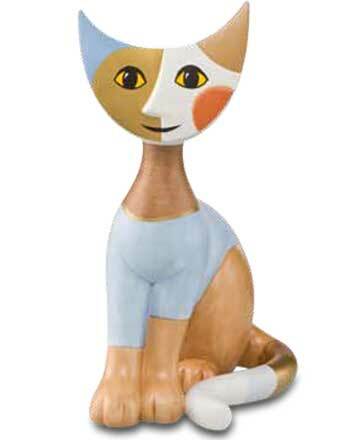 As a self-confessed cat lover, Rosina Wachtmeister knows what makes cat fanciers happy. 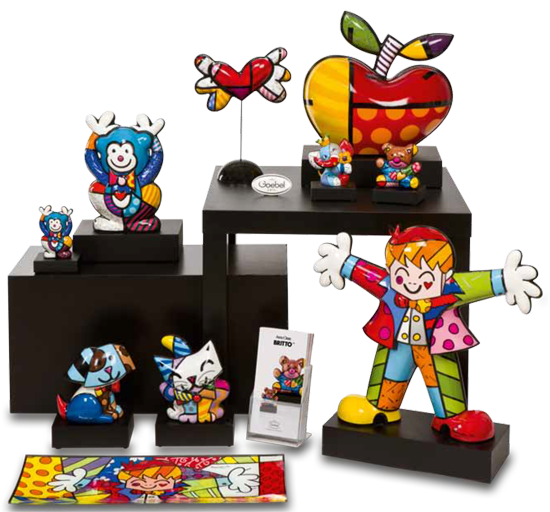 the sussessful cooperation between the artist and the goebel Porzellanmanufaktur started in 1997. 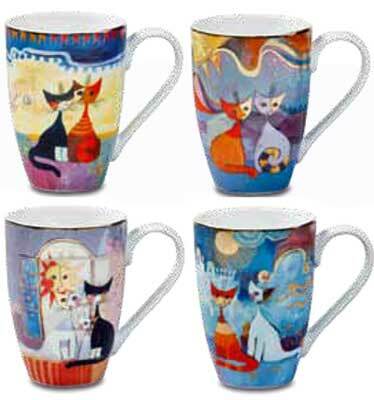 And in addition to the enchanting colourful cats, coffee cups, collector's plates and many other gift and decorative accessories bear the unmistakable signature of the artist Rosina Wachtmeister. Rosina's works, which invariably impress us with their intensive colours, come into being in her artistic domain in a small town in Umbria, not far from the Italian capital city. 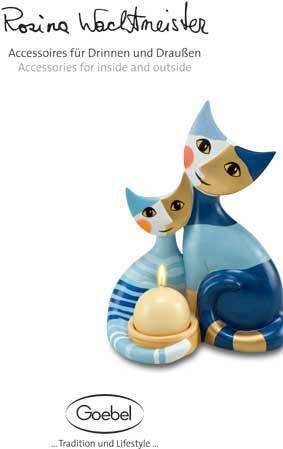 She creates an electrifying intoxication of colours that spreads pure energy! Passing through Rosina's house and garden, the eyes find no quiet. 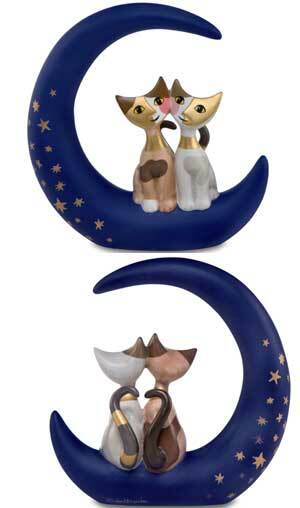 One can simply not see enough of the many stil-life motifs created by the lovingly arranged rooms, sculptures, plants and animals. 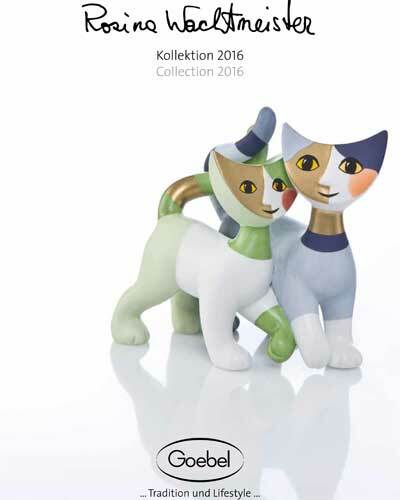 Click on the image / link to view the Rosina Wachtmeister Autumn novelties catalogue. 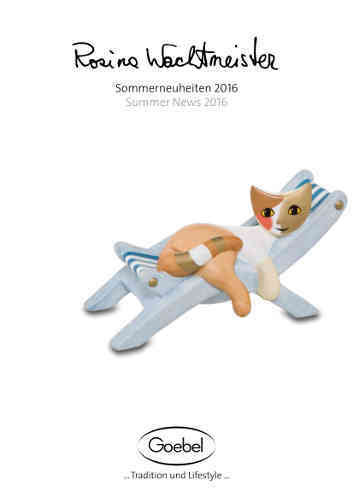 Click on the image / link to view the Rosina Wachtmeister Summer novelties catalogue. 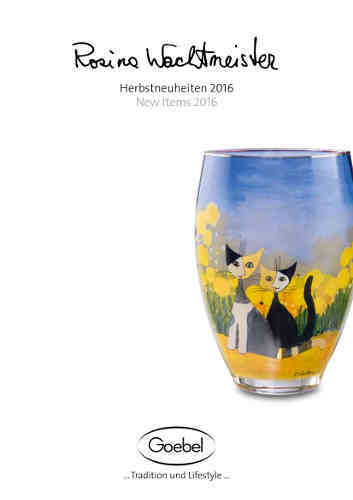 Click on the image / link to view the Rosina Wachtmeister accesories outside inside catalogue. 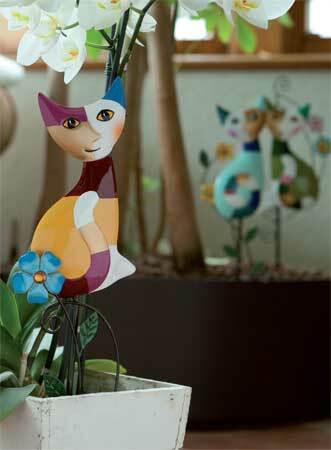 The flower sticks can be decorated in different length and are suitable for several sizes of plants. Mugs and demitasses in porcelain. 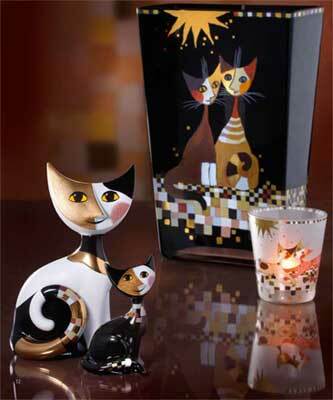 Mugs height 11 cm 0,3 L. Demitasses height 8 cm 0,1 L.
Beautiful black and white collection with figurines, tealights, vases,... and more.